Please click here for information about Permit Parking, Overnight Parking, and Street Parking During Snow Removal. The daily parking fee is $2.50 at the Metra Berman Parking Lot and $2.00 at the Poplar Avenue Lots. Parking is free on weekdays after 3:00 p.m. and all day on Saturday and Sunday; however, parking between 2:00 a.m. – 4:00 a.m. is prohibited 7 days a week. Click here for more information on mobile payment options. CTA Parking Rate – $4.00 / All Day. The Village of Wilmette is the second suburb north of downtown Chicago located approximately 16 miles away. The Village extends five miles west from Lake Michigan and is approximately one mile wide. Its municipal neighbors include Evanston and Skokie, Glenview to the west and Kenilworth and Northfield to the north. 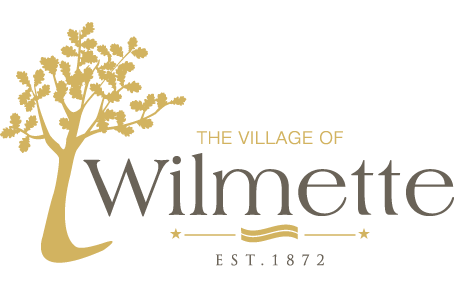 Click here for a map of Wilmette. You’ll find plenty of convenient parking in Village Center. The Village provides parking for residents, shoppers, and commuters. Below are links to maps where you can find specific locations of available parking. All on-street parking in the Village Center is free. Times are posted and range from 1-3 hours during the day. On-street parking is unrestricted between the hours of 6 pm – 2 am. Overnight parking (2 am – 4 am) is prohibited. The Village Center has 5 off-street parking lots. Google Parking Map. All are free and open the public and range in time from 90 minutes to 4 hours. Some parking lots contain permit parking spaces so be sure to check the signs to make sure you are not parking in a restricted spot. These permit parking spaces are designed for employee and resident parking spaces. The Village of Wilmette is located directly off of the Edens Expressway (I-94). If you are coming from the north, exit I-94 at Skokie Boulevard and you are in Wilmette! Once you have exited the highway, you will find one of the Village’s major shopping centers, Edens Plaza, on your righthand side. To get to downtown Wilmette, simply turn left at the second stop light at Lake Avenue and take Lake Avenue to Green Bay Road. If you are coming from the south, you can exit I-94 at Lake Avenue East or Lake Avenue West. Exiting on Lake Avenue East, you will find Edens Plaza on your left and can continue to downtown Wilmette by continuing on Lake Avenue to Green Bay Road. Click here for detailed directions. The CTA Purple Line ends at Linden Avenue in Wilmette. The purple line goes south into Evanston and into the northern limits of Chicago. Metra’s Union Pacific North Line (UP-N) stops right in Wilmette’s downtown at 722 Green Bay Avenue. The Union Pacific North Line runs from Kenosha, Wisconsin to downtown Chicago.